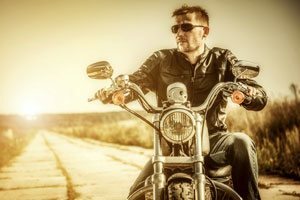 Over the last 20+ years, my Pennsylvania motorcycle accident law firm has reviewed thousands of demand packages, which normally include the accident report, injury and scene photos, medical records and bills, wage loss information and any other information that is generated when a motorcycle collision occurs, so we may proceed with motorcycle injury settlements. In many cases there is no problem. The police report is done properly, and if there are witnesses present a statement is taken, and more than often, it is correct. The problems come when the police officers don’t fill out the police report accurately or in some cases, due to the severity of my client’s injuries, they aren’t able to get a statement and the police report ends up one-sided. Those types of problems are easily enough resolved once we get motorcycle injury settlements under way and begin our investigation. However, it’s the problem/mistakes that are made in the medical records which are virtually impossible to correct, especially given that we usually don’t receive them until months after the collision occurs. I recently learned that medical records are now being digitized to make it easier for our medical history to be accessed by any doctor we have seen, or will see, if we are involved in a motorcycle accident. In my situation, the problems arise when I am representing a client who has had some past medical history, regardless of what it may have been, and now has suffered new injuries to the same, or different part of the body. If the prior medical history was entered incorrectly, such as listing a prior problem to a left knee as opposed to a right knee, and then re-injuring your knees in a motorcycle accident, it can be very difficult to explain to the responsible insurance company in the motorcycle injury settlement negotiation that your prior medical history was entered incorrectly. It can be even more difficult to try and have the error fixed. This is most likely a problem none of us has ever encountered unless we have been involved in some type of accident and had to request prior medical records. Upon receipt of the prior medical records, I generally go through them with my motorcycle accident clients. Many of them are shocked to hear what is actually in their records, especially when it is completely irrelevant or just plain wrong, but has now been digitized. 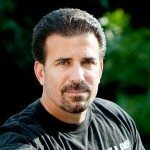 As a victim, there are many instances when the insurance company will attempt to contact you as soon as possible, before you have enlisted the services of a Pennsylvania motorcycle accident lawyer, and attempt to take a recorded statement so they can learn about prior accidents or incidents. 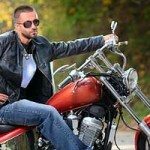 They attempt to have you sign an authorization giving them permission to obtain medical information that occurred either from a prior motorcycle accident or an auto accident. This is why we always tell our clients, and any one that will listen, if you are involved in an accident do not speak or give any information to an insurance company until you speak to your Pennsylvania motorcycle accident attorney. Simply put – insurance companies are not entitled to any information from you, and they are certainly not entitled to record your conversation and should never be allowed to do so.